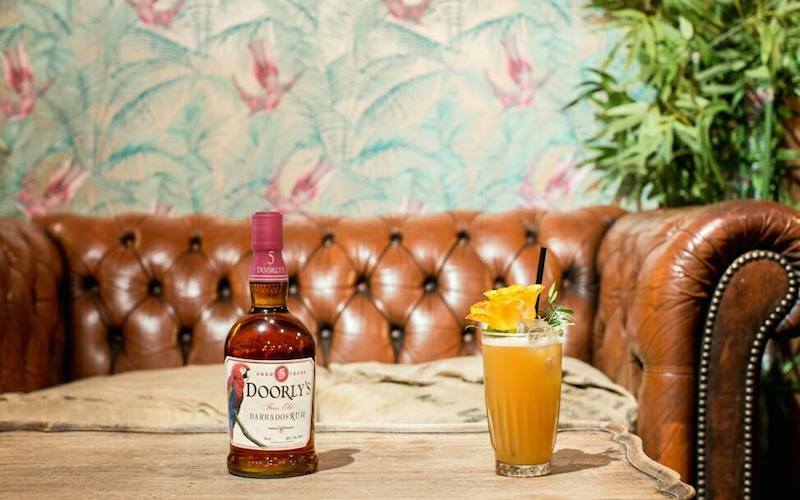 Whether you like in neat, mixed or just in a piña colada, we’ve searched high and low to find the best rum bars in London. As the name suggests, Rum Kitchen is all about the rum and have bottles of the stuff from all over the Carribean. 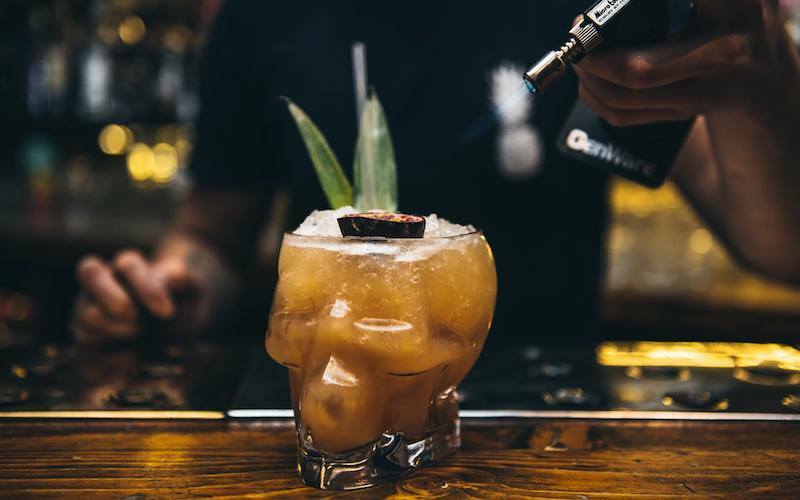 Expect a spin on traditional cocktails with a rum-based Tiki Negroni, Smoked Daquirai and Plaintain Colada, alongside their deadly Rattle Skull Punch – good job they’ve got some bangin’ Carribbean food to soak up that booze! Portobello Road basement bar, Trailer Happiness is a proper little gem, and boy do they know a thing or two about rum – they even host a rum club! But for the average joe they put a tiki spin on the cocktail menu and if you really wanna go all in give the ‘Zombie’ a go, it’s got 5 differnt rums in and a splash of absinthe, for good measure of course! It’s Caribbean vibes all round at Sugar Dumplin. Think jerk chicken, candle-lit beach huts, reggae and their all important rum shack. 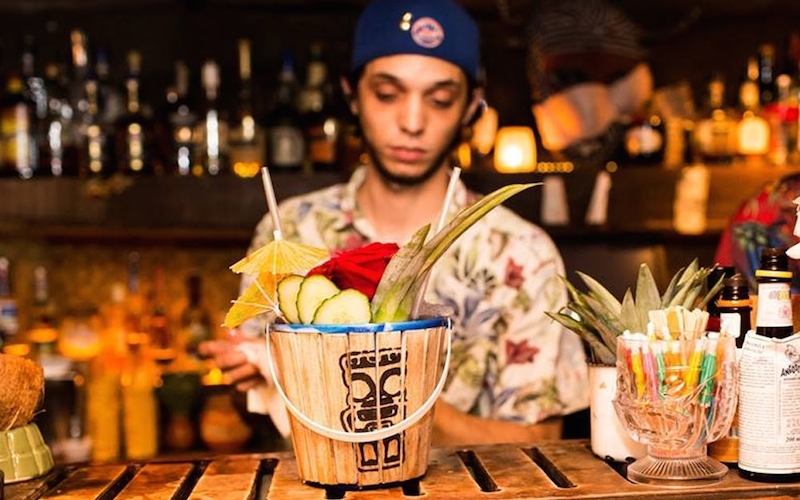 Serving up every rum cocktail you could ever want including the multi-coloured ‘Bob Marley’ topped with Flaming Wray & Nephew, Sugar Dumplin is the place to get the party started AND they even have a happy hour! 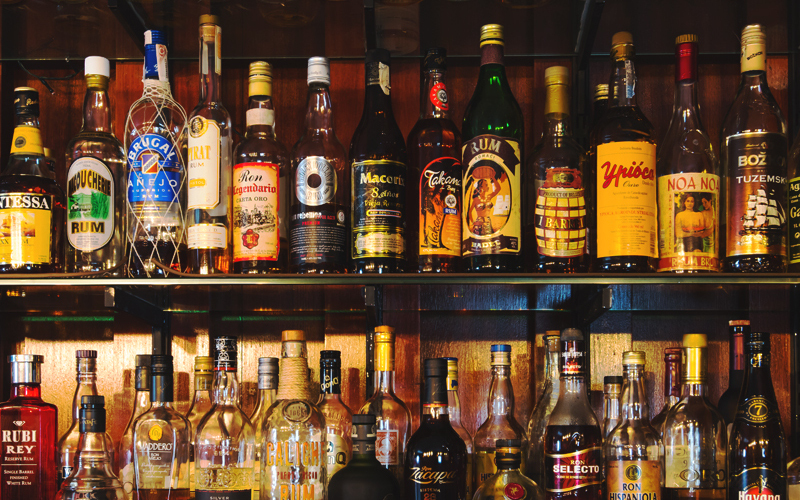 Yes, Rum & Sugar has over 150 bottles of rum behind the bar, but that’s not the only reason it was named that. It’s roots in rum date way back and the bar is actually housed in an old rum & sugar warehouse. Today the place serves up a rum heavy cocktail menu and also serve up a selection of rum flights for the true connisour. Burlock is on the swish side of things. 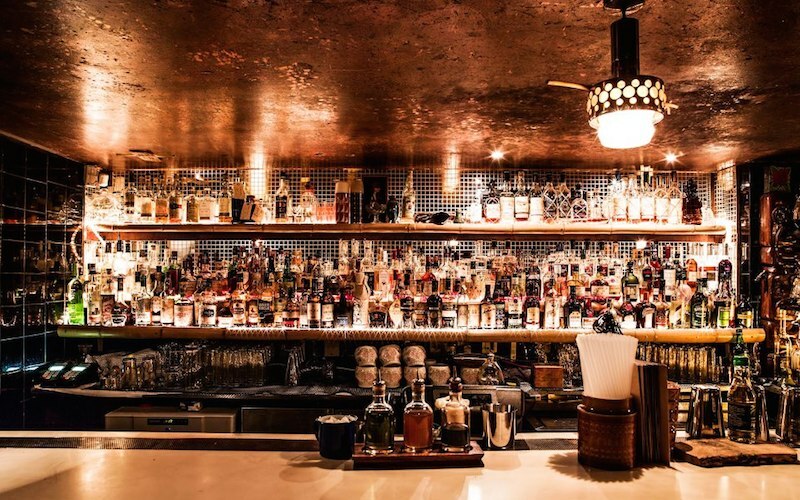 The Marylebone bar with a colonial Cuban theme is all about rum. 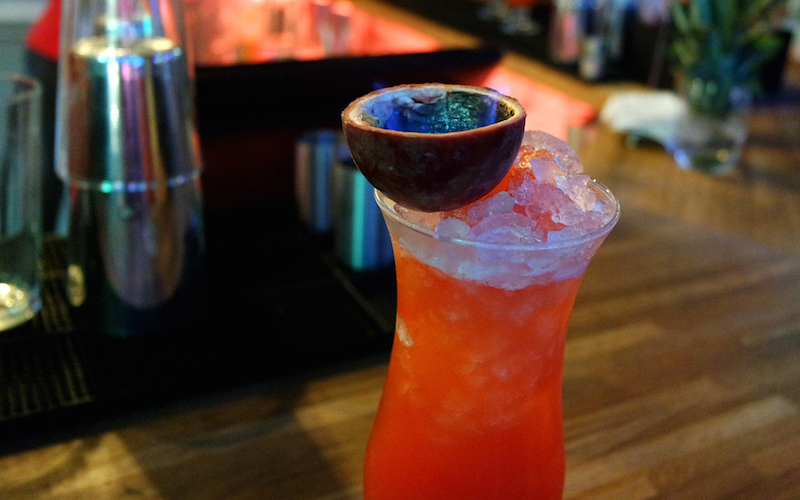 They serve up all of their rums either neat, mixed or in daiquiri form and even explain the difference in rum grades. 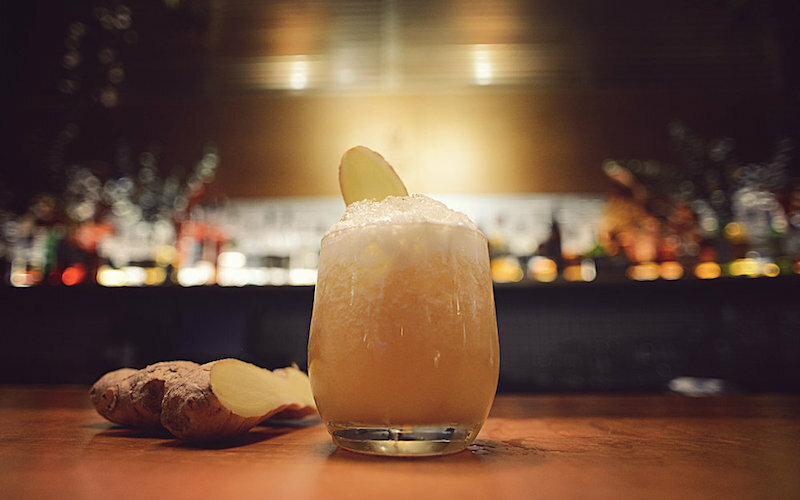 Burlock really is a bar you’ll keep rumming back too…until your wallet is empty. Rum shack and Carribean restaurant, Cottons is a bit of a Camden verteran – it’s been around since 1985! 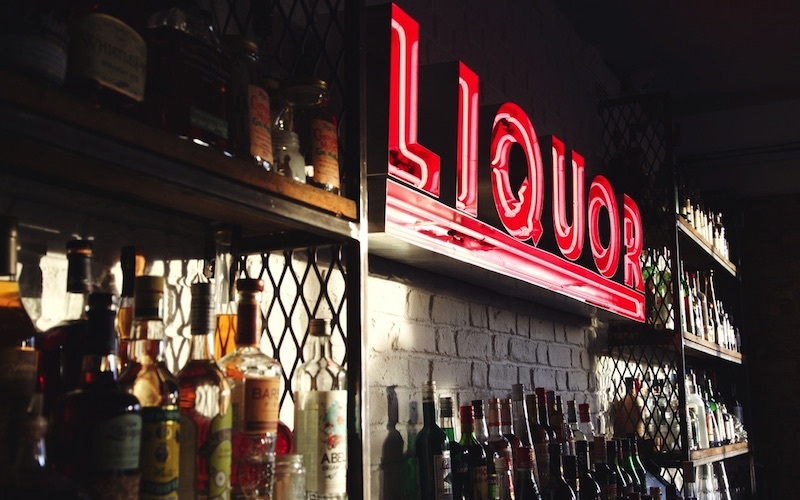 Holding over 300 bottles of rum behind the bar, they’re all about letting the good times roll. And with a £5 happy hour everyday, you’ll be bopping along to that reggae in not time! 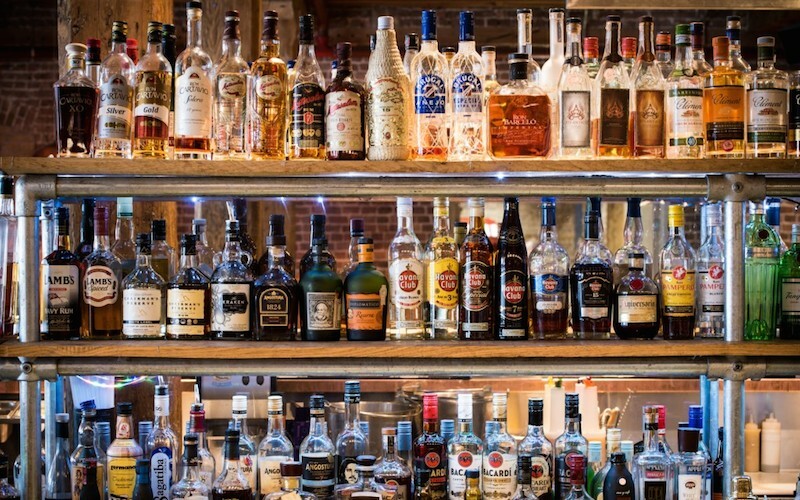 Bow Lane’s Merchant House doesn’t just have one of the biggest gin collections in town, but one of the largest rum collections in the world. 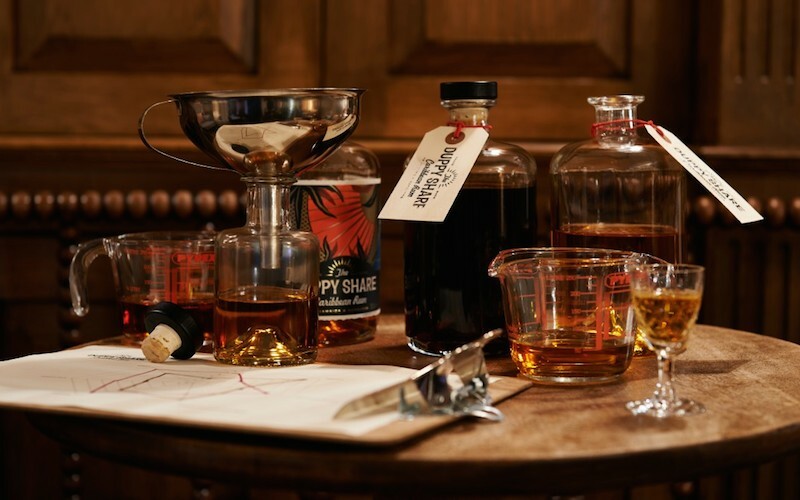 With over 300 bottles of the strong stuff, they shake up some bloody good cocktails that each come with their own story. Oh and their rum Old Fashioned that includes a beer while you wait!